At the end of last year I was completely overloaded. I had holiday shoots piling up, parties and events to attend, was blogging weekly for another blog, working three days a week, and I was way behind on all of the holiday goodness I am normally too excited to wait to get done. I loved shooting, writing, networking, working, buying gifts, baking cookies, and so on, but there was a lack of balance. You can’t give all the time. Sometimes you need to recharge and replenish. It is particularly hard to be creative when you’re running on zero, and creativity is where some of my greatest joy comes from. So this year I’ve been working hard on creating a balance between input and output in my life. You get a glimpse of my output in every blog post: writing, images, what I’m working on. So on Fridays, I will share some of my inputs! Books, blogs, movies, whatever it is that I’m taking in that week, I’ll share with you. I’ve always been an avid reader, but life gets in the way…But, happily, since I got my Kindle I’ve been on a bit of a book binge…that one-click to buy feature is becoming a problem. Normally I don’t ever read more than one or two books at a time, but I’m a little out of control at the moment. Imagine: How Creativity Works Umm awesome! There will be a whole post about this book coming soon. Basically it talks about the science of creativity and the right side of the brain. Sounds totally uninteresting to a creative person, I know, but it also incorporates stories about famous creatives. Currently, I’m reading about Bob Dylan. It is SO interesting! I recommend it. So I started a book club and we chose to read the slightly depressing, slightly disturbing, slightly unnerving, but completely riveting We Need to Talk About Kevin. It is written from the perspective of the mother of a boy involved in a school shooting. I’m only a third of the way through and although I’m a little bit annoyed by the way the narrator speaks, I can’t seem to put it down. And just for fun…Pandemonium which is the 2nd book in a series by Lauren Oliver…it’s a dystopian society kind of thing like the Hunger Games (which I know you’ve all read, but if you haven’t, DO IT!!!) and it sucked me right in. I was so mad when I found out the 3rd one isn’t out yet. I think technically it’s a young adult novel but whatever. I’m a young adult, right? And just for fun…I’ve been completely mesmerized by the song “Big Jet Plane” by Angus and Julia Stone. 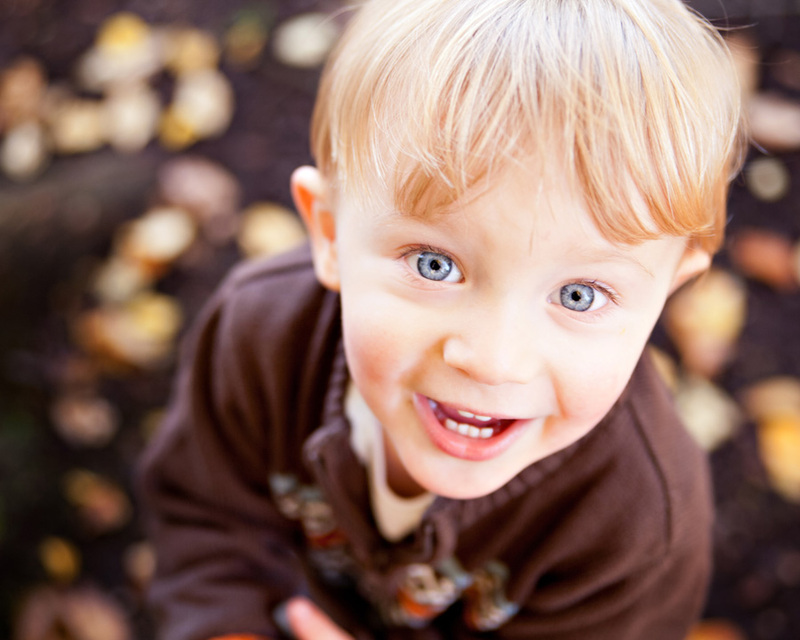 8 Tips for Better Pictures of Your Kids! Today I ran into a mom with a camera asking for tips on taking great photos of her little man. I was thinking about what to tell her, and also about how often I get this question, and decided it would make an excellent topic for one of my 30 days of blogging. 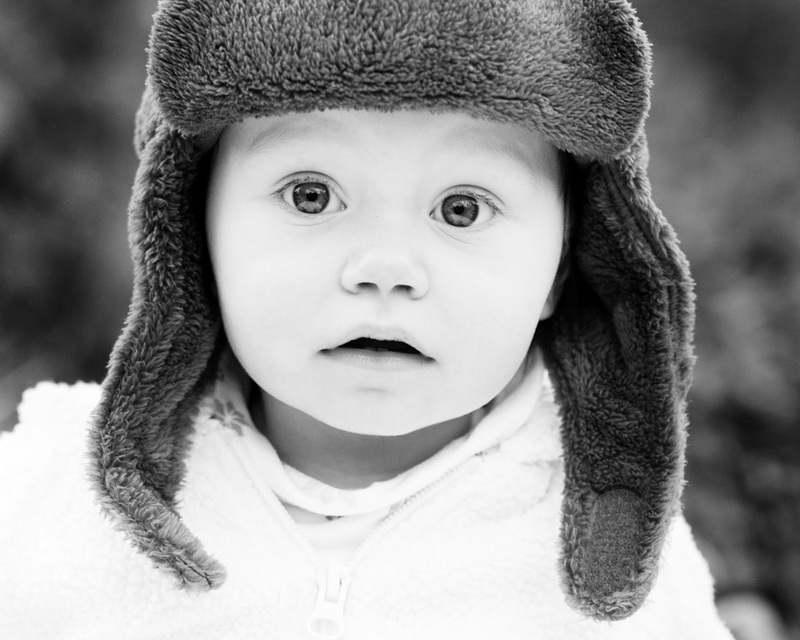 And so below are my top 8 tips for improving your images of your kids. Most all of them can be useful whether you’re using a DSLR, point and shoot, or the good ol’ iPhone. Feel free to ask questions if you have them! 1. Get down on the level of your subject. Shoot at your subject’s eye level rather than your own. This will give you variety of shots, better/more eye contact, and a point of view different than your own. Once you get used to that, mess with it! If your daughter is dressed like a superhero and you want her to look big and powerful, shoot from below her. If she’s asleep on your big bed and you want her to look tiny, shoot from straight above. Think about why you’re choosing your point of view. This image wouldn't have been the same if I was shooting at any different angle. It looks like she's gazing right into your eyes. 2. Avoid the “cheese”!! Asking your child to say cheese or saying, “1, 2, 3 smile!” just begs for an unnatural awkward photo. (Think about your own “cheese” face.) Try for genuine interactions. Work that joke that always gets your kids going! Or just sit back quietly and let them do their thing. You can't get smiles like this one by saying "cheese"! 3. And on that note, wait for the action to come to you. Candids really are the king of capturing your family’s personalities! Don’t pose moments, wait for moments to happen naturally, then shoot away! They were throwing leaves in the air and she paused to give him a squeeze. He thought it was hysterical. How cute! I couldn't have posed it better. 4. Turn OFF your flash! (That means turning off Auto for you DSLR users. Give P mode a go to start.) Look for some nice soft natural light and put your kiddo there (or wait for him to run into it). Here in Seattle our sky is generally one nice big soft light. Grey skies make it easy. But when the sun is out be careful to avoid harsh light and odd shadows. Unless you’re going for moody, avoid a big difference between the shadows and the highlights. If you can pick out the line where the shadow stops and the highlight begins, chances are your light isn’t soft. For great natural light try just inside a window, in open shade (shaded areas that are still lit by the sun: under a big tree, in the shadow of a building, etc.) or even in the garage. 5. Think about the story you’re telling with your image. Your kid’s messy face is adorable. Is the fact that he’s in the kitchen important? If not, move in closer. Do you need to see the high chair to know what’s going on? Again, move in closer. Is his mess from his 1st birthday cake and he’s surrounded by friends and family? Then scoot back. Only keep elements in your images that have a purpose. Playing with perspective: zoom out for the whole story, or in to capture just what is most important. 6. Don’t forget the details. 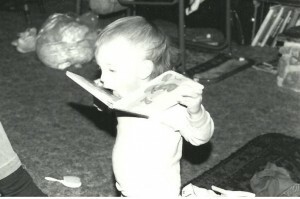 Documenting a birthday party, project, or play date? You don’t have to get everything in one photo. Don’t be afraid to zoom in close on busy hands working on a painting or the balloons at the party. Think like you’re telling the whole story of what is happening. Details help bring it all together. The image on the left is cute. It shows where she is and what she's doing and draws your eye in. But the image on the right is equally powerful drawing attention to the expression on her face and her beautiful eyelashes! Here I'm showing both sides of the story. 7. Feeling adventurous? Give AV mode a try. This will allow you to select you’re aperture (I often shoot wide open at 1.8). Opening up wide will give you a sense that your child is the only important thing in the image and everything else will get that beautiful blurred look (bokeh) I’m so obsessed with. Feel like I’m speaking Chinese? Feel free to ask questions or just ignore this one. Love how that blurred background makes him really pop out of the image! 8. Have fun. No seriously. Have fun. If you’re worried about getting the perfect shot, chances are you’re missing the moment. And if you start to get stressed about it, your kid will notice. The best tip I can give you is to enjoy the process and your kids will too. I need to tell you a little bit about myself. If you don’t know me, you don’t know I’m insanely organized in an equally insanely sloppy way. I have piles of stuff all over the place, but know just where to look to find what I need. I keep sticky notes in my car, in my purse, next to my bed, in the kitchen, on my end table, and on the desktop on my computer (oh my goodness I love that app!). I make lists like I can’t keep a single thought in my head without writing it down. I color code my closet, but will leave a pile of laundry on the floor for days before putting it away. I need my drawers to be organized, but don’t really notice if I don’t open them for weeks because the organized stuff is the stuff I don’t use. It makes me absolutely crazy when my husband leaves a cabinet door or drawer open. OCD tendencies? Yes, maybe. But I think it makes me who I am. And It also plays a big part in how I shoot. I like a little mess in my images: throw your head back laughter, tears, group hugs rather than posed portraits. Just like I like my home to be organized, but lived in, I like my images the same way. Lived in. The rules of composition still apply. As does the necessity for beautiful light. They are the lists and sticky notes of my photography. I don’t care if your eyes squint up when you’re laughing, in fact, if they do, even better! What may to others just be an outtake, is often for me, the most emotional and real image. That little bit of “mess” changes my job from “taking a portrait” to “capturing a memory”. And when a killer location, rich dewy light, and a genuine moment all meet…that’s home to me. Kelly is blow your mind beautiful…just look at those eyes!! PIN Shawn is stoic (in a good way) and seriously rocked that suit and the location! For some reason she reminds me of Cleopatra coming out from behind the ribbons. These cupcakes blow my mind! I am especially infatuated with the lace one. I’m surprised I was able to restrain myself from sneaking it into my camera bag and taking it home with me! Those of you who have followed my blog so far know, there hasn’t been much to follow. While I LOVE to write I, for some reason, couldn’t think of anything to say or didn’t have time or whatever other excuse popped into my head at the time. My posts have been sporadic at best. And, although I promised over and over again to remedy this problem, I just haven’t done it. The funny part is, I know once I get going I’ll love it! It sort of reminds me of the promise I make to myself every month or two to “really start working out again. To get back on my game and get really fit again.” Hmmm… (I may or may not be eating Girl Scout cookie while writing this. Shut up. I know you can’t resist Samoas either!) Despite the lack of current motivation, about two years ago I had a giant success. I decided that I wanted to do a Couch to 5k program. I was plagued by the photos of my recent trip to Hawaii (do I really look like that in a swim suit?!) and wanted to get in better shape. I began the program slowly and with a head full of excuses, but just kept pushing through them…and somewhere along the line the girl who couldn’t even run a mile decided she needed to run a half marathon. And I was going to ride this wave of motivation right through it. I decided to employ the “30 days to make a habit” philosophy and do some sort of workout every day for 30 days. Well, I did that and kept going. 40 days, 50, 75, all the way to 100 consecutive days of workouts. And I completed my half marathon (see not-so-attractive, but an excellent memory photo below)…and then another one. I lost 35 pounds. And I never felt better. And so the idea is this (borrowed from another photographer who I can’t think of at the moment…hopefully it will come to me so I can correct this! ): I am going to ride the “30 days to make a habit” philosophy once again, but this time when it comes to blogging. So expect some action here (finally!). No crap content. All blog entries need to be thoughtful. If I miss a day I have to feature another blogger and a post of their choice. And that’s it! I’d love to have a “training partner”! If you’re interested in doing your own 30 day blog challenge, get in touch! Anyone is welcome, and I’m extra interested in other wedding industry professionals. ETA: The lovely Alex from Alex Beaton Photography in England will be joining me! She’s a killer photographer (and even more amazing, she’s only 22!) Check her out! Anyone else want to join us?